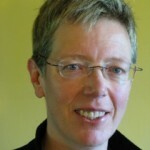 Jutta Treviranus is the Director of the Inclusive Design Research Centre (IDRC) and professor at OCAD University in Toronto. The IDRC (formerly the Adaptive Technology Resource Centre) conducts proactive research and development to support digital inclusion and inclusive practices and policies in our digitally transformed society. 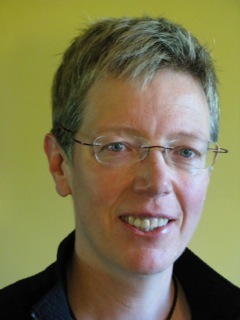 Jutta also heads the Inclusive Design Institute a multi-university regional centre of expertise on inclusive design. Jutta is the Co-Director of Raising the Floor International. She established an innovative graduate program in Inclusive Design. Jutta has led many international multi-partner research networks that have created broadly implemented technical innovations that support inclusion. These include the Fluid Project, Fluid Engage, CulturAll, Stretch, FLOE and many others. Jutta and her team have pioneered personalization as an approach to accessibility in the digital domain. She has played a leading role in developing accessibility legislation, standards and specifications internationally (including WAI ATAG, IMS AccessForAll, ISO 24751, and AODA Information and Communication). 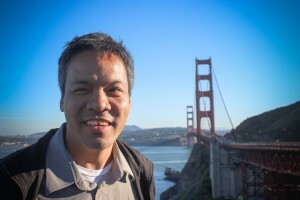 Jennison Asuncion co-founded Global Accessibility Awareness Day in 2012. GAAD is an annual, grassroots effort that invites the broader high-tech community to engage in in-person and virtual activities meant to raise the visibility of digital inclusion. Jennison launched Accessibility Camp Toronto in 2011, Accessibility Camp Bay Area in 2014, and helped found the Boston Accessibility Conference and accessibility Camp L.A. in 2010 and 2012 respectively. These free, day-long events intentionally provide a less formal atmosphere for designers, developers, other tech pros, and people with disabilities to discuss digital accessibility issues. Jennison spent almost seven years on the Royal Bank of Canada’s IT Accessibility Team. He currently leads LinkedIn’s accessibility efforts. As Co-Director of the Adaptech Research Network, Jennison has been publishing and presenting on ICT accessibility in Canadian postsecondary education since 1999. For his combined professional, research, and volunteer efforts, in 2012, Jennison was recognized with a Queen Elizabeth II Diamond Jubilee Medal.